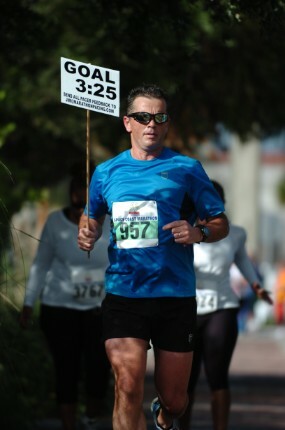 Run many many marathons, along with Ironman Hawaii, Big Sur, Comrades, Badwater and the Appalachian Trail. I come from a running family. My best memories from running marathons with family. 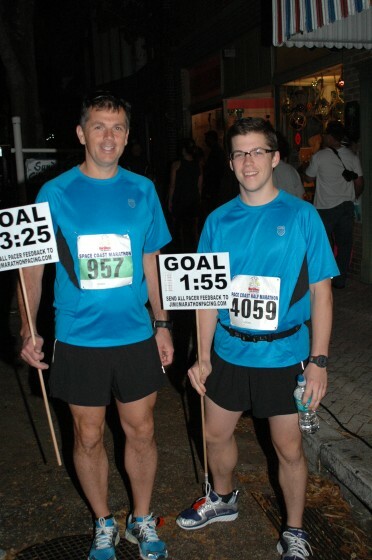 I've run marathons with my wife, sister-in-law, 3 brothers, and my son. I grew up in a large family with 9 siblings and competition was introduced at a very young age. I challenge myself to run every mile on goal pace. No banking time and no sprints at the end to hit the numbers. My goal is to run every marathon with a negative split of 1 second. First half right on and the 2nd half 1 second faster. I drove 6 hours the morning of Hartford Marathon, paced 3:20 with an actual 3:19:59. Drove to Albany immediately after to 3:30 pace lead the Mohawk Hudson with an actual finish of 3:29:44. This was my 3rd weekend in a row of marathon doubles. My number one goal is to help the group. Each mile I shout out the actual mile splits so that everyone is on the same page. Many people use GPS watches and I do as well for reference. As an experienced pacer I have found GPS watches have their issues. As an old school runner I will always give splits for each mile run and reference GPS calculated pace for a given mile. Run the tangents, run TALL and have fun. l alternated running and biking 500 miles with my son Hogan over 10-day period in May. I averaged 35 miles of running and 15 miles of biking per day with the start of each day a full marathon. This was a fundraise event to help kids with disabilities attend summer camp.